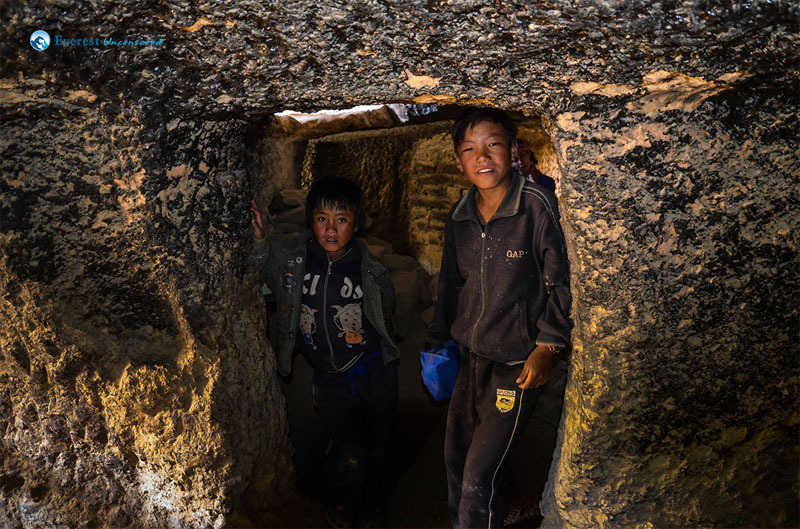 This photo was taken inside Dzong Cave, Chhoser, Upper Mustang. 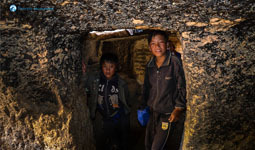 Two boys standing inside the cave are the guide and the ticket collector of the Cave. Their job is to guide everyone in the cave so that no one gets lost on the way.